St. Joseph Township-Swearingen Memorial Library Monday, September 22, 6:30pm - 8pm. McNellis will be reading her new, creative nonfiction books, Kiwi Simile and Ibex Idiom, at this event. A signing as well as a Q&A session will also be offered. This informative and educational book series is all about animals from around the globe. 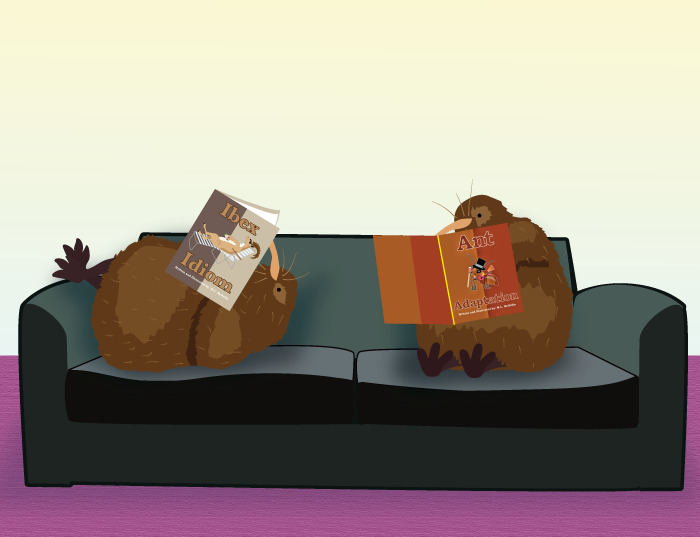 The drawings feature anthropomorphized critters engaging in somewhat familiar activities related to the text, which transforms hard facts into fun, relevant content for anyone! "The juxtaposition of informative text and fun illustrations makes the facts easy to digest for any reader and the books are also a great introduction to reference material for children. Each one is beautifully illustrated and are perfect for sharing together – ideal for introductory science lessons. We say... exciting books which really extend learning opportunities for children."